The Super Bowl is this weekend! Now is the time to get to Costco and try all their samples because they have the best samples this weekend. Oh and I guess you could watch the game too. I’m not the biggest sports fan but I do love me some good party food. 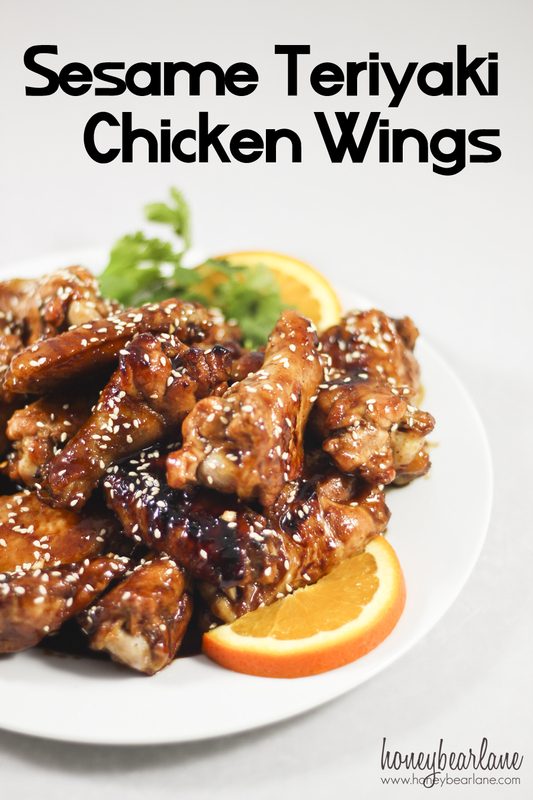 I really love chicken wings especially…drool! My sister-in-law has this amazing sticky wings recipe but it takes like five hours so I wanted something that would be a little faster than that. It’s not exactly fast, but the time and basting makes it all worth it. Some people say that they just dump all the sauce into the pan and just let it bake, but in my opinion you need to flip the wings every 5-10 minutes and baste it. I actually put about a cup of the sauce into a separate container just for basting so the rest of the sauce wouldn’t get contaminated with raw chicken. Then you let it broil for the last 10 minutes, flipping halfway through. This will make the skin a bit crispier. Finally, once you take the wings out, I put the wings into the rest of the sauce, covering them completely so they are fully immersed in the sticky, teriyaki goodness. And sprinkle sesame seeds on top for that little bit of nutty flavor. 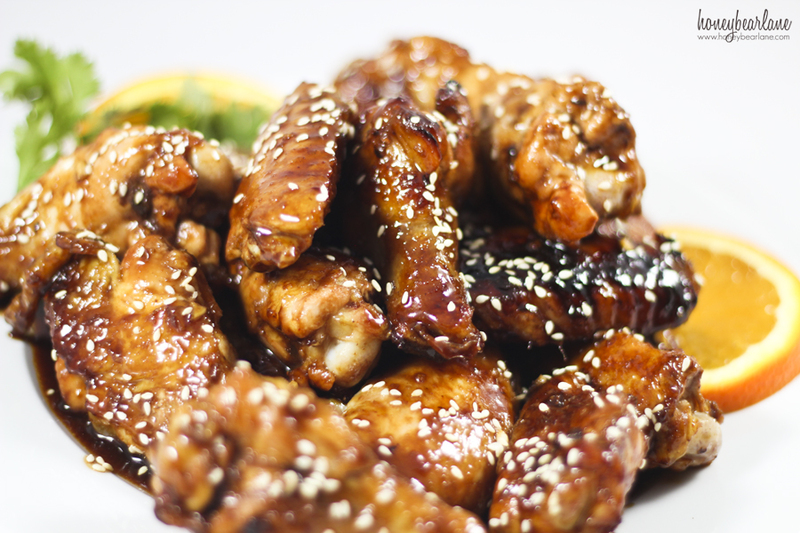 If you like your wings spicy, try adding in chili-garlic sauce instead. I served this with vegetable fried rice and oranges. My kids really loved the chicken, especially my Lucas who gobbles up almost everything I make. It’s such a great feeling to have him come to the table and see what we’re eating and then say “Yummy!” which is a direct contrast to my daughter who complains until I relent and say she doesn’t have to eat any of it and can have a piece of bread. Anyone relate? Preheat the oven to 375 degrees. Line a baking pan with foil and put all the wings on the pan. Mix the first six ingredients together and put half in another container, just for basting. Baste the chicken wings with half of the sauce and then bake for 10 minutes. Flip the chicken wings over, baste again, and bake for another 5 minutes. Continue flipping and basting for about 15 minutes more, stopping every five minutes. Broil for the last ten minutes, flipping halfway through. Take the wings out and then fully immerse in the rest of the sauce. Sprinkle with sesame seeds.